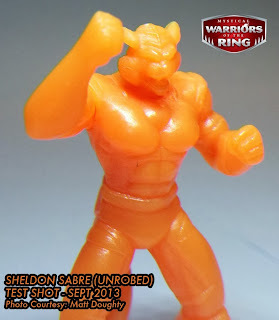 This is merely a quick post to showoff the new Mystical Warriors Of The Ring Sheldon Sabre Test-Shot figure I just got in this awesome Orange colour (which is currently unavailable). This photo that was used as a promo pic for the PVC release of MWOTR is the exact same figure I was fortunate enough to get my hands on. He is a 1:2 figure which only makes him even more cool, and he tells a story of how Fantastic Plastic Toys played around with Sheldon's tail, and in this figure it is unsecured to his leg as it would normally be. 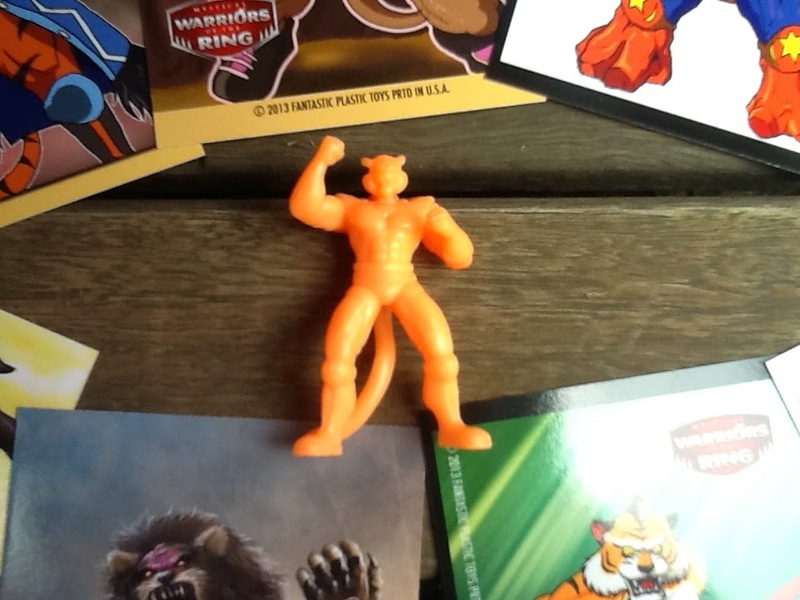 I feel rather chuffed at having scored myself this figure, as Sheldon Sabre is one of my favourite figures and Orange the is too good. Thanks Mark and Fantastic Plastic Toys! The Sheldon Sabre Orange Test Shot with a bunch of very cool MWOTR cards sporting some pretty spiffy artwork of the characters! 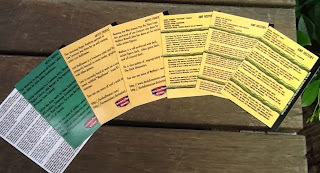 The card backs with Bio Stats and character history. Always adds more fun in my book! As if I needed even more reasons to like Mystical Warriors Of The Ring, now I'm practically jonesing for more to be released! 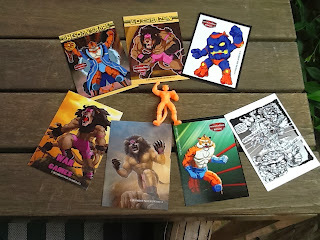 Stay tuned to my blog, as I will try to cover any upcoming releases as well as info on how to get yourself some MWOTR. Dont forget, Wave 1 MWOTR PVC sets in Candy Apple Red & Flesh are available for $9 at True Cast Studio, as well as a sweet MWOTR wrestling ring with Glow-in-the-Dark ropes for only $5 USD!! Bargain. I love the test shot orange! Such a cool color for mini figures.